What a lovely idea! 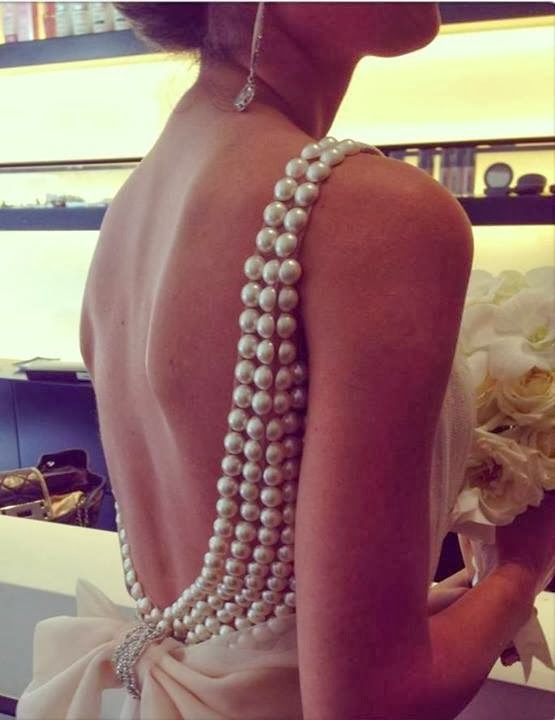 I've seen pearl embellished garments before but never like this! It's from Zahavit Tshuba's bridal collection but I bet you could easily try to do this yourself with any old dress (but I think a low back dress would work best with this look). If you look at the photo it's just the back of the dress which is covered in beading which is much more doable than an entire dress. 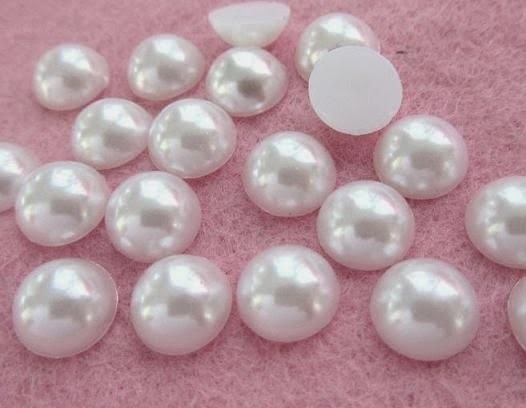 Plus, these are not round pearls they are flat back buttons. You can buy a 50 pc pack here. Since they have no button hole you couldn't sew them on but you could hot glue them on and it would be a lot faster than sewing. I absolutely love this detail and your suggestion is a much better alternative! I would think that hot glue might cause the pearls to pop off easily. Instead I have used E6000 for attaching pearls, sequins and crystals - to my daughter's synchronized swimming suits. Everything stayed on really well - even after repeated swims in chlorinated pools. @AZ BarbaraThanks for the tip!!! !